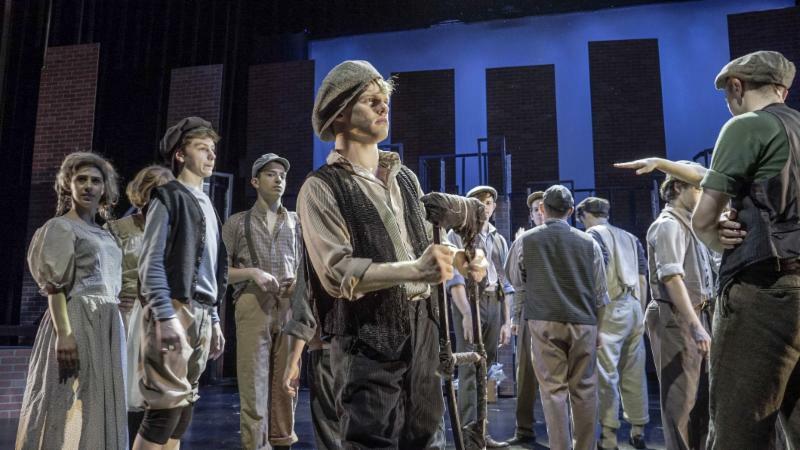 nj arts maven: THEATER DOWN THE SHORE: "NEWSIES": Be There for Opening Night! 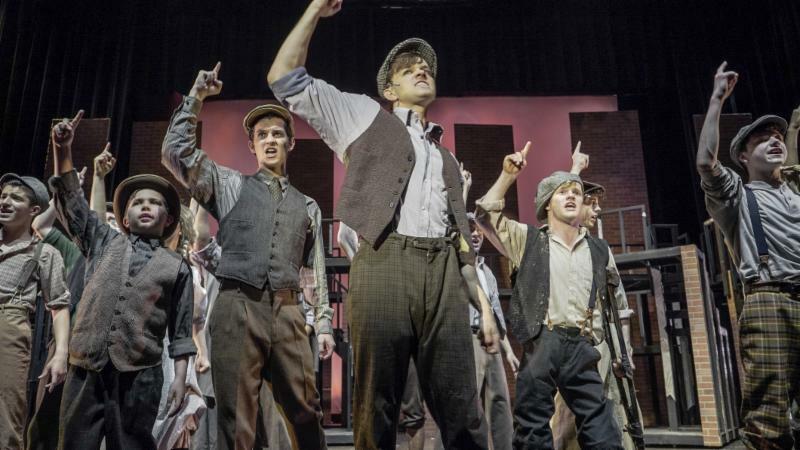 THEATER DOWN THE SHORE: "NEWSIES": Be There for Opening Night! Disney’s Newsies the Musical, based on a true story and the cult Disney film, became a Broadway hit after debuting at the Paper Mill Playhouse. The Axelrod PAC’s professional production is directed and choreographed by Marcos Santana, assisted by Nova Bergeron, musical director Andrew Sotomayor, and associate choreographer Betty Weinberger. The Newsboys Strike of 1899 literally stopped the presses and upset the empires of publishers Joseph Pulitzer and William Randall Hurst. 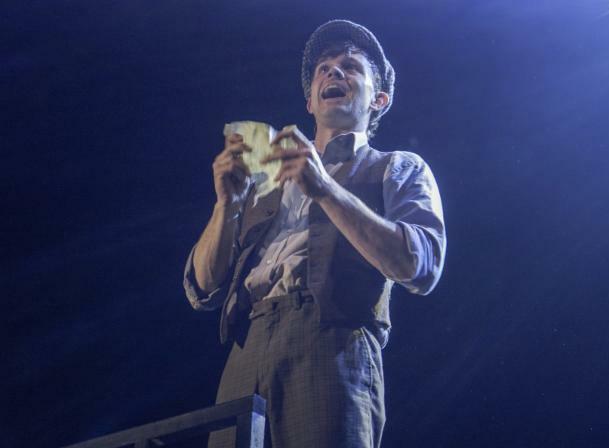 The leader of the Newsies, Jack Kelly, is played by Jim Schubin, who starred Off Broadway in The Fantasticks. Jack’s sidekick, Crutchie, is played by Patrick Tombs, the first disabled actor to assume this challenging role. Jack’s gang of ragamuffins include Matteo Marretta as Romeo, Jevorn Henry as Henry, Matt Donzella as Finch, Anthony Lloyd Fania as Albert, Braden Allen King as Elmer, Michael Thompson as Specs, Kylan Ross as Race, James Little as Buttons and Jonathan Duvelson as Mush. The “girlsies” are played by Stephanie Eve Parker as Sniper, Lauren Emily Alagna as Tommy Boy and Ashleigh Kiven as JoJo. Lane Northcutt plays Davey and Henry Berry plays his younger brother, Les. 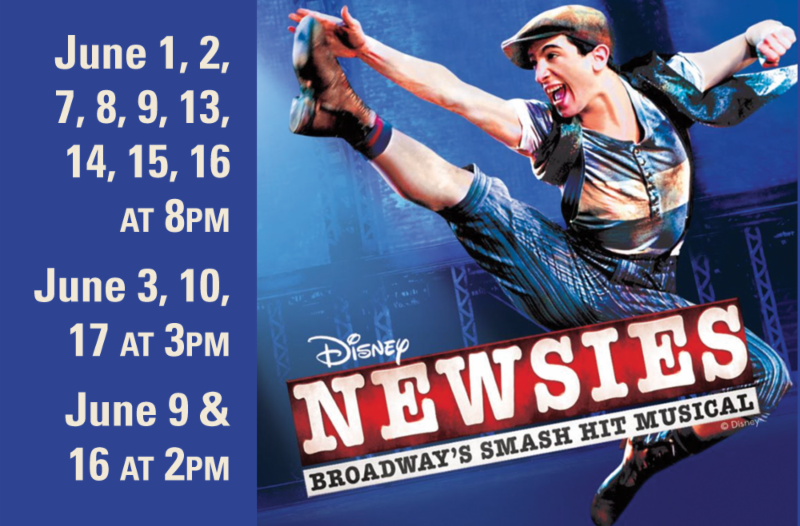 Don’t miss the opening of Newsies this weekend, with a special reception following opening night where you can meet the cast and production team.